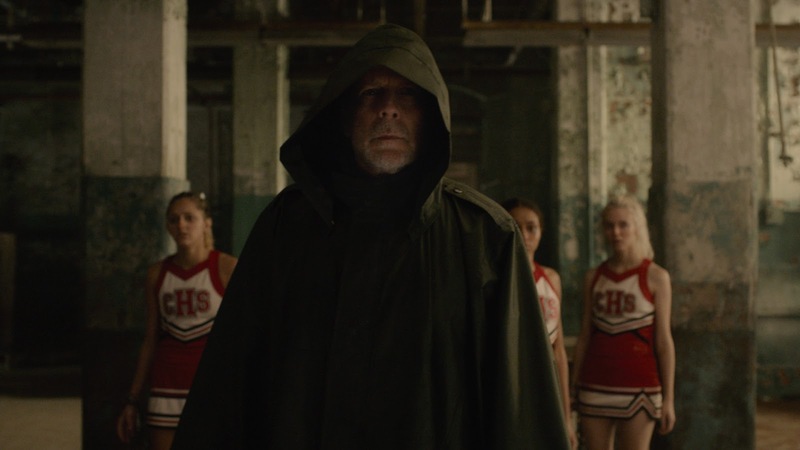 When the final moments of M. Night Shyamalan's Split revealed that the events of the film took place in the same universe as the director's 2000 effort, Unbreakable, many fans were elated at the prospect of becoming reacquainted with David Dunn (Bruce Willis) and Elijah Price (Samuel L. Jackson) in a future project. 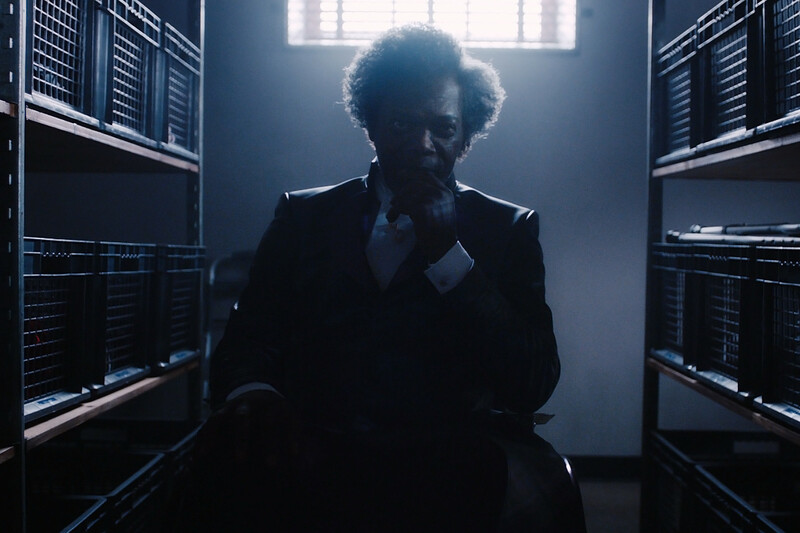 Though not without its flaws, Unbreakable presented a unique approach to the superhero genre that has always seemed ripe for a follow-up, and Shyamalan aims to finally deliver with Glass. 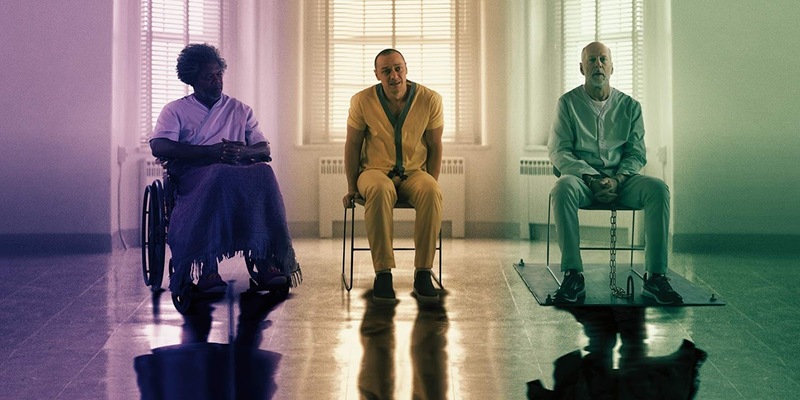 As someone who still admires Unbreakable two decades after its release, and someone who absolutely loved Split, it brings me no joy to report that Glass is an absolute disaster of a film, one that squanders its potential at nearly every conceivable turn. The opening is promising enough: Kevin (James McAvoy), still at war with the collection of multiple personalities that refers to itself as The Horde, is holding several young women hostage in an abandoned warehouse, waiting for the return of The Beast. Meanwhile, David - whose vigilante persona has been dubbed The Overseer - uses his resources as a security consultant to track down their location and mount a rescue attempt, leading to a super-powered scuffle that establishes a thrilling tone right out of the gate. And then the film's momentum screeches to a halt when Dunn and Kevin are apprehended and whisked away to the psychiatric center at Raven Hill, where they're placed under the care of Ellie Staple (Sarah Paulson). The good doctor specializes in a specific type of mental disorder where the afflicted believe they have powers akin to those of comic book superheroes, but in truth are actually suffering from delusions brought on by a traumatic event in their past. Ellie hopes to prove to each of her patients - which include a heavily sedated Elijah - that there's a scientific explanation for each of their abilities. What follows is nearly an hour of therapy sessions and exposition-heavy dialogue, where Glass attempts to convince its characters - and its audience - that maybe the events of the previous films didn't happen the way we remember. This approach is flawed from the very beginning because neither Unbreakable nor Split left any kind of ambiguity about the nature of things: there's no question that David has incredible strength and is practically impervious to injury, and Kevin's ability to scale walls and run on all fours when The Beast persona emerges is certainly not borne from an interest in rock-climbing (yes, Dr. Staple actually offers this up as a possible explanation). Glass goes to great lengths to explain the structure of a comic book story arc, as if these elements would otherwise be lost on its audience. For example, a supporting character takes the time to delineate that in comic books, the villain might lure the hero to a public space for a battle of skills, as if comics are the only medium where this might occur and people that have never opened a comic book couldn't possibly understand the basis for this scenario. Elsewhere, when all of they key players are assembled for a climactic moment in the third act, Jackson mugs for the camera and cackles "it's the collection of main characters!" And when the third act begins passing out ill-conceived "twists" like Halloween candy, Ellie repeatedly pops up to tell us exactly what we just witnessed with our own eyes. Dreadful script notwithstanding, credit must be given to McAvoy for a truly committed performance that manages to surpass his work in Split. As he rapidly morphs from persona to persona, adjusting his accent, speech patterns and mannerisms, there's never a moment where he's not swinging for the fences - in short, he's the best piece of Glass's puzzle. Jackson also deserves his share of praise, convincing the audience that Elijah believes completely in the batshit reality this film posits, and Shyamalan wisely gives Jackson plenty of room to ham things up considerably during the third act. It almost makes up for the fact that despite the film being named for his character, Jackson doesn't utter a single word until more than halfway through the running time. Willis is the weakest link here, with a turn so lethargic and uninspired that words can scarcely do it justice. Never one to shy away from a paycheck, as evidenced by the steady string of roles in low-budget non-theatrical releases, Willis is clearly putting in the absolute minimum effort required to continue growing his bank account. Moments designed to be climactic or cathartic never hit home due to the lifelessness of his performance, and with the exception of the opening act, Glass suffers pretty much every time Willis is onscreen. Casey (Anya Taylor-Joy, reprising her role from Split) is also back, but the script relegates her to little more than a cookie cutter archetype that exists to serve a very specific purpose. And just in case there's any uncertainty about that purpose (there won't be, it's so obvious that it borders on offensive), another character will helpfully describe to the audience - and to Casey herself - exactly what her she needs to do, and why it needs to be done. Combining a mishmash of undercooked ideas, a script that feels like a first draft that was never given a rewrite, and a star that can't even muster the energy to break into a run when his character is attempting to force his way through a steel door, Glass is a colossal disappointment. It's an aggressively bad film that belongs with the worst entries in Shyamalan's filmography, and might just be the worst effort of the director's entire career.